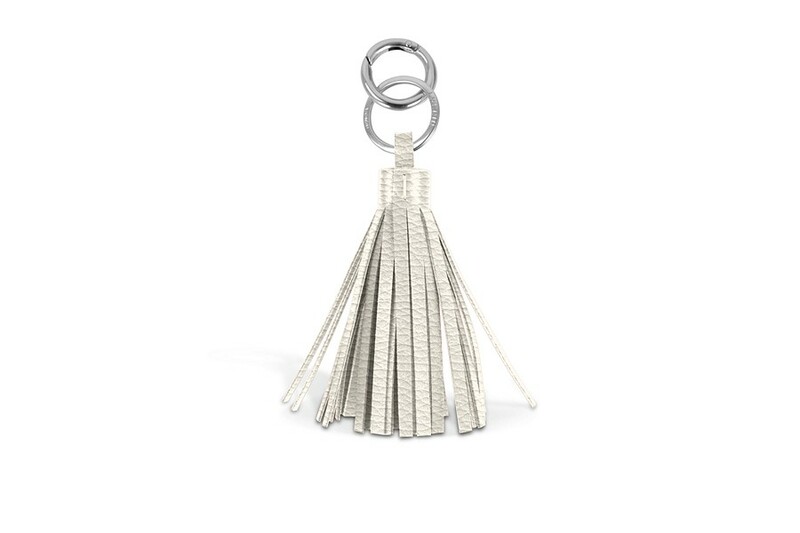 Used as a leather keychain or a bag tassel, this trimmings fashion accessory is one of the favourite cute keychains for women. 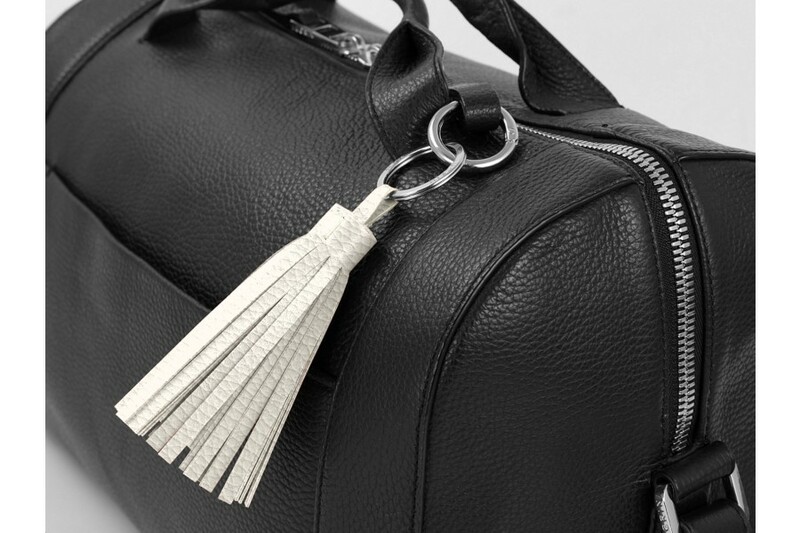 The leather fringes are doubled up with another layer of authentic leather. 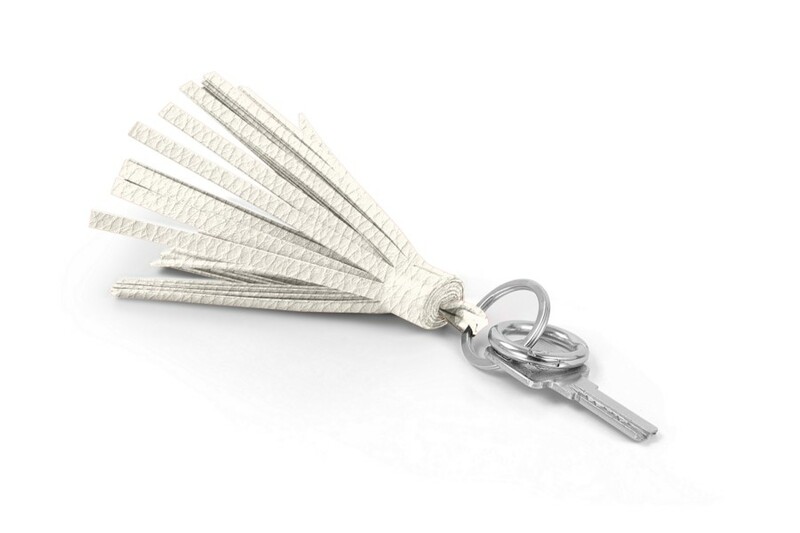 This tassel keychain boasts of exceptional handmade finishing and comes with two nickelled accessories: flat ring for your keys and a carabiner ring for easy fixing to your bag handles.